Dr. Robert E. Webber founded the Institute for Worship Studies in 1998 and was its first president. He died April 27, 2007, at his home in Michigan. 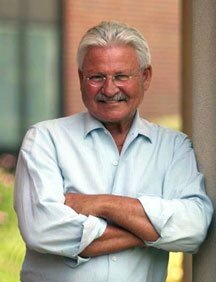 In January 2007, the Board of Trustees unanimously voted to change the name of IWS to the Robert E. Webber Institute for Worship Studies in honor of the vision, accomplishments and contributions of Bob Webber. The Institute for Worship Studies was founded with that question in mind. More and more professors of church music, music ministers of the local church and pastors realize there is a gap in their education. They have the music education and the skills for music and worship leadership, but they lack the knowledge of the biblical foundations, historical development, theological reflection and cultural analysis for effective worship ministry in today’s world. The Institute for Worship Studies was founded to meet this need and prepare leaders for the changing task of worship ministry. Here is what I have observed in the last few decades: music ministry and worship leadership have been going through a significant change. Formerly, a music minister or a worship leader was only in charge of music or worship leadership. Their task was to oversee a division within the church that concentrated on everything musical pertaining to public services. But now, music and worship leadership has evolved into a pastoral ministry. The ministry includes more than the entire musical life of the church. What was once only music is now worship teaching, worship evangelism, worship spirituality and even counseling. Most music and worship pastors are not prepared for the shift. At the Institute for Worship Studies we know this, and we are prepared to help. The Institute for Worship Studies does not offer music courses. We assume our students have this knowledge and skill. Instead, we concentrate entirely on the process of helping them become worship pastors. Being a worship pastor in today’s complicated world is no simple matter. Worship needs a foundation in the theological disciplines, in the personal disciplines of spirituality, in the disciplines that create and sustain community, and in the disciplines that empower all the ministries of the local church. Training in the disciplines of worship is the goal of the Institute for Worship Studies. We teach those who teach, lead those who lead and pastor those who pastor. If this is the kind of education you have longed for, and if you qualify for our Doctor of Worship Studies or our Master of Worship Studies, we would love to hear from you. We exist to serve you as you serve your local church or teach in college or seminary. Dr. Webber was born in Congo of missionary parents, and was raised in the Philadelphia area. He earned the Th.D. from Concordia Theological Seminary. From 1968 to 2000 he served as Professor of Theology at Wheaton College, and was named Professor Emeritus upon his retirement in 2000. He was appointed William R. and Geraldine D. Myers Professor of Ministry and Director of the M.A. in Worship and Spirituality at Northern Baptist Theological Seminary in the fall of 2000.